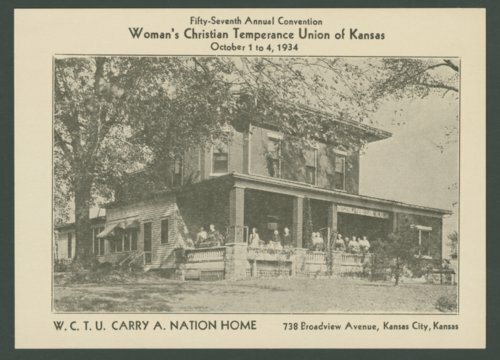 A notecard with photograph observing the fifty-seventh annual convention of the Woman's Christian Temperance Union of Kansas, October 1-4, 1934. The photograph shows the W.C.T.U. Carry A. Nation Home at 738 Broadview Ave., in Kansas City, Kansas.